Clockwork and Diablo were released as part of the Fall 2015 collection. This is a huge 17 polish collection that has something for everyone. 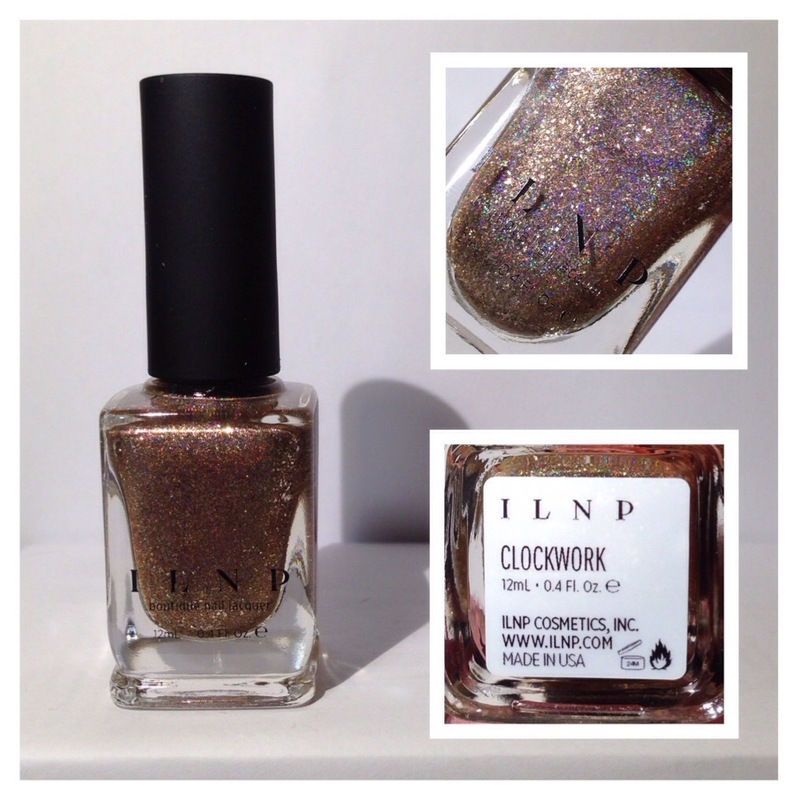 Clockwork is a gold holographic that had a bright metallic finish. Looking at the macros you can also see some larger flakie pieces as well. Diablo is a color shifting maroon holographic color. At times it appears a bright brick red and then changes to an oxblood color. This polish has more of a jelly finish to it. The best part?! It doesn’t stain! Look at that holo magic! Limited Edition: Yes, but Barbra tends to keep her polishes in stock for awhile so no one misses out.